Imagine that fifteen women gather. They have a conversation that maps eight geographic arteries across England and Wales, like points on a compass. These arteries reach out towards a singular destination like roots forming a tree. The destination is Hyde Park. At Land’s End, a group of women start putting one foot in front of the other. For them there is no going back. 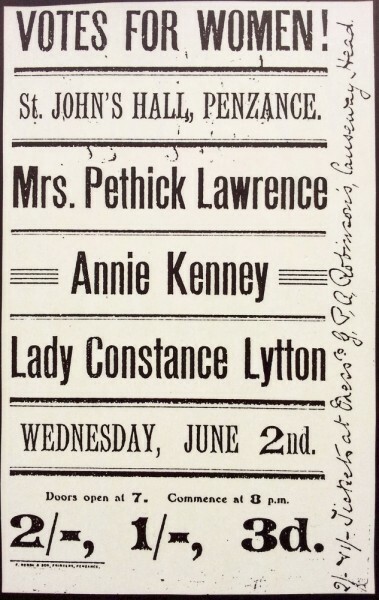 It’s June 1913 and the Great Suffrage Pilgrimage begins. Tomorrow, on 19 June, an amazing thing will happen. In the footsteps of our female ancestors, Dreadnought South West will perform Oxygen, a brand new play by Natalie McGrath, along an historic route from Land's End to Hyde Park exactly 100 years after the greatest march from Land's End to London since 1497. An episode will be symbolically performed at Land's End before the first full performance will take place in the Plen-an-Gwarry in St Just. Oxygen runs for 90 minutes with 21 episodes. The full-length play will be performed at venues along the route, with episodes taking place at various points in public, non-theatre spaces as trailers for the full production. View the itinerary and book tickets. The play focuses on two sisters, and what happens to their relationship when one of them decides to take the militant path and the other chooses to participate in the peaceful pilgrimage. An ensemble piece that will be infused with the real stories and experiences of those who took part in the march, the play will also feature music composed by Claire Ingleheart, who has worked with Wildworks Theatre and Kneehigh. Dreadnought South West is a new organisation that works with arts and heritage to champion women’s voices and stories. 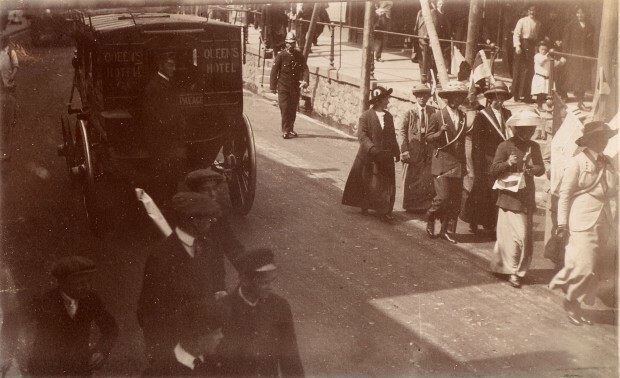 As the play tours from Land’s End to London, retracing the steps and thoughts of 100 years ago, it will be accompanied by a series of responding events, discussions and land journeys that celebrate the courage of those who participated in the pilgrimage, and questions how women’s lives have changed since 1913. The Hypatia Trust has been a supporter of Dreadnought South West since its inception. Natalie McGrath, the playwright, was a Hypatia Resident Scholar last summer. We are delighted to be supporting Dreadnought South West. History, drama and entertainment rolled into one. As a tribute we have donated copies of Katherine Bradley's classic study on the Suffrage movement in Cornwall, published by the Hypatia Trust, to be sold to benefit their further work. You should be able to buy a copy at one of the performances so what are you waiting for! History, drama and entertainment rolled into one. 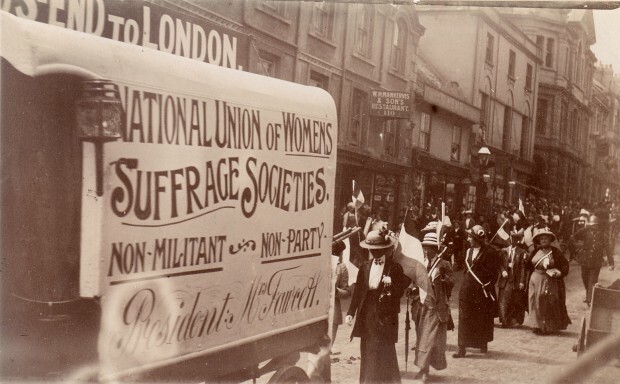 Keep a lookout here for our guest historian, Eleanor Tench, who will be publishing a series of short articles on women and the vote and politics in Cornwall. You can book tickets from the Hall for Cornwall box office or risk buying at the door. TR19 7AA Unticketed EventPlease make your way to the Custom House for 12pm to witness the launch of this amazing journey and to see several episodes from the play Oxygen performed. An informal walk is scheduled to take place after the launch from Lands End to St Just. This event is not being organised by DSWA and we would advise that you take part at your own risk. Tue25/06/2013 FREE Episodes 4pm Mount Folly BodminPL31 2DQ Unticketed EventPlease make your way to Mount Folly for 4pm to see episodes from the play Oxygen performed.